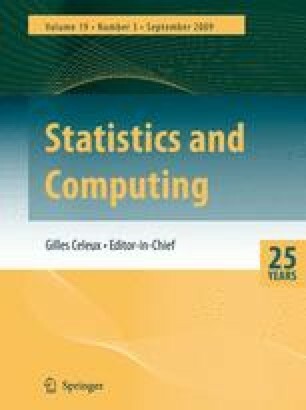 In this paper we analyse the average behaviour of the Bayes-optimal and Gibbs learning algorithms. We do this both for off-training-set error and conventional IID (independent identically distributed) error (for which test sets overlap with training sets). For the IID case we provide a major extension to one of the better known results. We also show that expected IID test set error is a non-increasing function of training set size for either algorithm. On the other hand, as we show, the expected off-training-set error for both learning algorithms can increase with training set size, for non-uniform sampling distributions. We characterize the relationship the sampling distribution must have with the prior for such an increase. We show in particular that for uniform sampling distributions and either algorithm, the expected off-training-set error is a non-increasing function of training set size. For uniform sampling distributions, we also characterize the priors for which the expected error of the Bayes-optimal algorithm stays constant. In addition we show that for the Bayes-optimal algorithm, expected off-training-set error can increase with training set size when the target function is fixed, but if and only if the expected error averaged over all targets decreases with training set size. Our results hold for arbitrary noise and arbitrary loss functions.